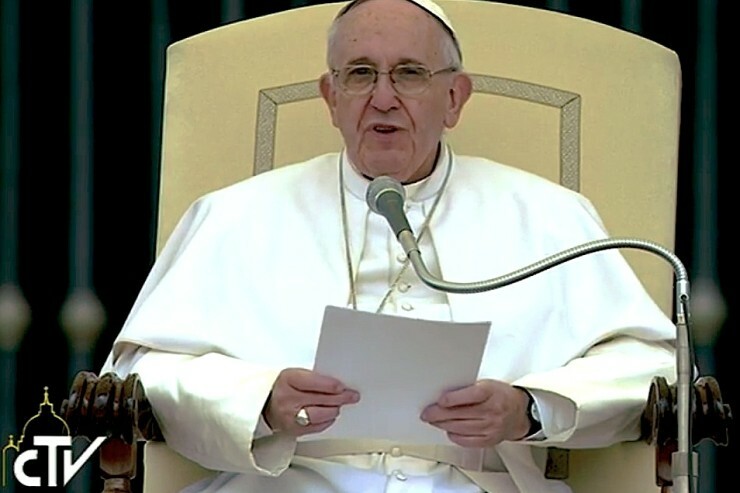 Speaker: Dear Brothers and Sisters: In our continuing catechesis for this Holy Year of Mercy, we now consider the first of Jesus’ miracles, the changing of water into wine at the wedding feast of Cana. Saint John fittingly calls these miracles “signs”, for by them the Lord reveals the Father’s merciful love. Jesus’ choice of a wedding feast points to the deeper meaning of this miracle. It is a sign of the new covenant that he came to inaugurate, the messianic banquet promised for the end times, where he is the Bridegroom and the Church his bride. By changing the water kept for ritual purification into new wine, Jesus signals that he is the fulfilment of the Law and the prophets. Mary’s command to the servants – “Do whatever he tells you” – can serve as a programme of life for the Church. We are called constantly to renew our love for the Lord, and to draw new wine, new life, from his saving wounds. The miracle at Cana reminds us that we are invited, as members of the Lord’s family, the Church, to draw near to him in faith, and thus to share in the joy of the wedding feast of the new and eternal covenant. Speaker: I greet the English-speaking pilgrims and visitors taking part in today’s Audience, particularly those from England, Scotland, France, the Netherlands, China, India, Indonesia, Malaysia, Singapore and the United States of America. With prayerful good wishes that the present Jubilee of Mercy will be a moment of grace and spiritual renewal for you and your families, I invoke upon all of you joy and peace in our Lord Jesus Christ.